Is it a surprise that this comes as no surprise at all? I’m sure somebody had Amy Winehouse ranked high in their dead pool and not without good reason. She had been hurtling headlong down a path of drug and alcohol fueled self-destruction since “Rehab” had made her a global superstar six years ago. What this proves is some people should never be famous. Particularly not if you have an addictive personality and some rather nasty habits. My daughter liked Back To Black more than I did. I bought it at a used CD store, gave it a couple of listens and returned it within the three-day window. There were a couple of songs I thought weren’t half-bad, but there was nothing I felt like I needed to hear again. 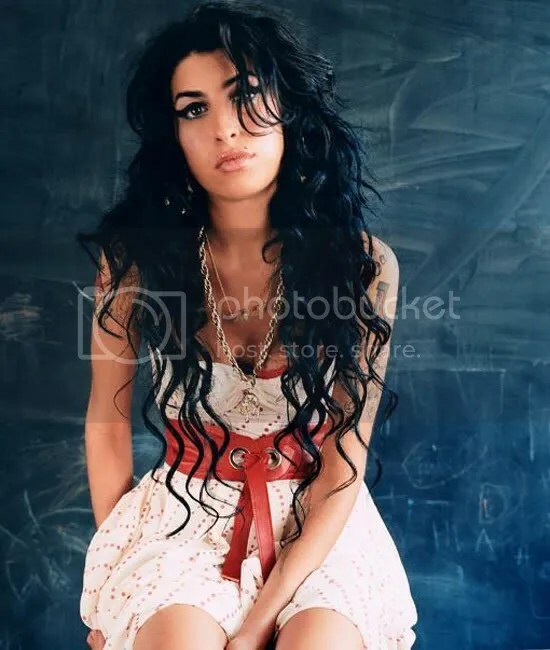 The Brits have carved out an impressive list of neo-soul singers with Winehouse being the most celebrated if not the best of the bunch., But Back To Black dropped in 2006 and Winehouse’s follow-up never materialized admidst all the tabloid turmult her life had become. Her drunken performance in Belgrade in June where she was a wreck on two legs and the crowd booed her off the stage was such a hot mess of epic fail proportions her record company quickly scrubbed the Internet of videos of it. Winehouse’s ongoing series of public meltdowns was like driving down a country road at midnight with no lights on; the crash was inevitable. It was only a matter of how brutal the impact would be. Like Kurt Cobain, Winehouse was extraordinarily talented and extraordinarily messed up. A lot of people admired them both but it seems very few actually loved them. Then again junkies aren’t the most loveable people in the world. They’re kind of sad and pathetic, but you can’t really feel all that sorry for them. This isn’t a tragedy. 91 people, mostly teenagers, being shot and blown up by a neo-Nazi, anti-Islam nut job in Norway is a tragedy. This was a case of slow motion suicide. You see ’em come. You see ’em go. Life in the fast lane, I guess. You rarely see someone go straight to hell as fast as she did when she finally hit the big time. Amy Winehouse is finally at rest, but it’s doubtful she’s found peace. Good night, Amy. All your pain has gone away. How is it that America produces such a tragic, self-destructive young beauty in such a short 18 years?